Flowering Season: Summer. 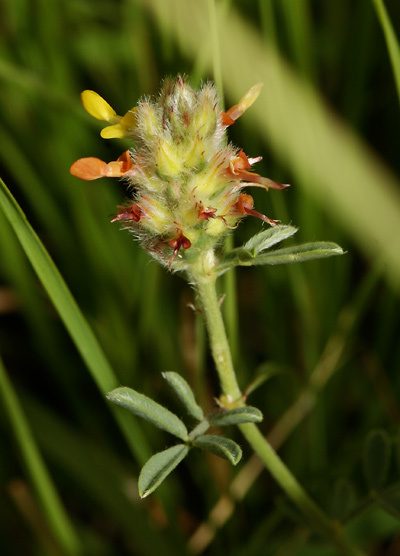 This wildflower typically blooms after the summer monsoon rains have begun. Description: The small, pea-like flowers are on dense, hairy, erect, egg-shaped flower spikes on short stems. The flowers are followed by feathery, reddish and white seedpods. 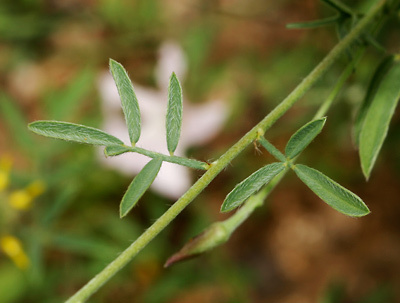 The leaves are green, hairy above and below, alternate, and pinnate with 5 or sometimes 3 narrow leaflets. The stems are ascending and branched at the base.